The Polish Sejm, which is the name of the country’s parliament, approved a radical law against so-called “de-communization” decreeing that all monuments that fall under its domain could be removed to obscure statue parks or potentially destroyed. This is controversial for many reasons, but mostly in this context because it could affect statues that are dedicated to the Soviet-era heroes and their Polish allies who liberated the country from Nazi occupation. The ruling Law and Justice party, popularly known by its Polish abbreviation PiS, is conservative, nationalist, and religious, all of which in the Polish context makes it very likely to clash with Russia in all sorts of spheres, including the humanitarian-historical one such as in this instance. PiS is led by Jaroslaw Kaczynski, whose brother was the former President of Poland until his sudden death in a 2010 plane crash near Russia’s western city of Smolensk, where he was travelling in order to commemorate the 1940 Katyn events where the USSR killed upwards of 20,000 Polish soldiers and other individuals. Kaczynski always blamed Russia for the accident that killed his brother, despite no evidence to prove this, and some believe that his existing anti-Russian disposition turned into an outright craze following the tragedy and is responsible for PiS’ vehemently Russophobic platforms such as the one concerning Soviet-era monuments. That being said, there are a few responses that Russia could move forward with in the run-up to the law’s implementation later this fall. Before listing them, it should be known that Russia believes that Poland’s actions violate two bilateral agreements from 1992 and 1994 dealing with the preservation of monuments in each other’s countries, and Moscow justifies any of its potential asymmetrical responses based on these grounds. 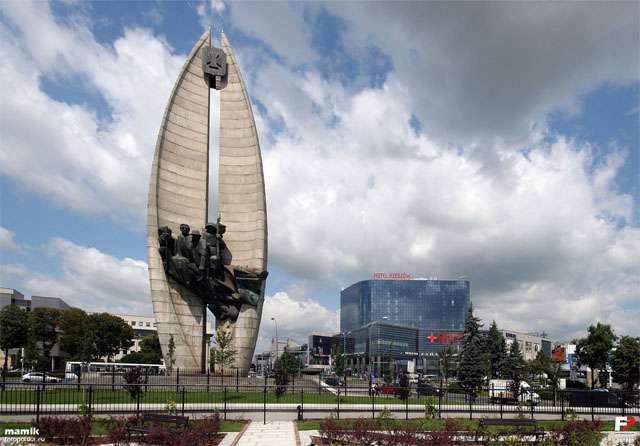 One of the options that it has at its disposal was described by chairman of the Federation Council’s International Affairs Committee Konstantin Kosachev as refusing to implement Russia’s side of the agreement obligating it to care for Polish memorials on its territory. They won’t be destroyed, of course, but could eventually fall into disrepair with time. Another possibility is that Russia will sanction the Polish members of parliament responsible for this legislation, and it could also downscale economic and cultural cooperation with the antagonistic country. And finally, Russia could take the issue to international courts and the media sphere, which would draw attention to this row and cast Poland in a very negative light. Moreover, although not publicly elucidated, it shouldn’t be discounted that Russia could also dig up dark elements of Poland’s past that it would rather be ignored, such as its inhumane treatment of Soviet prisoners following the Polish-Soviet War, its discrimination and abuse against the Orthodox Belarussians and Ukrainians in the interwar Second Polish Republic, and Warsaw’s complicity in actively carving up Czechoslovakia alongside Nazi Germany after the 1938 Munich Agreement, among many other controversial episodes. After decades of conditioning, many people are aware of the USSR’s most unsavory historical moments, though comparatively fewer know about Poland’s, so this final asymmetrical response could reap major damage to Warsaw’s soft power reputation and make it forever rue the thought that it could normatively get the better of Moscow by removing Soviet-era monuments.